We arrived with the assumption that Legoland is for small children and Dudu is too old for the rides. So, we didn’t expect much even after we were there by the gate that morning, especially when we just stopped by Universal Studios the previous day. But you don’t have to be as cool to be lovable. Universal Studios may be awesome, but Legoland has a different kind of charm. Even for non-Lego enthusiasts like us. We spent half day at the water park and another half at theme park with lunch break in between. It was fun and if Universal Studios is done in a day, this one needs extension. At least one for each. But before we go into our favorite rides in Legoland, let me share that the theme park online ticketing service is real friendly and helpful. I ordered my tickets through their official website but the e-ticket didn’t arrive in my mailbox. I emailed them and they helped track down my tickets, re-sending them in no time. So we’re able to depart in peace. The price is also competitive. I bought it on the official website because believe it or not, it’s the cheapest I can found after comparing with several travel agents and websites. According to its official website, 1-day theme park pass is RM156 (or around Rp.480k) if you book 7 days in advance. 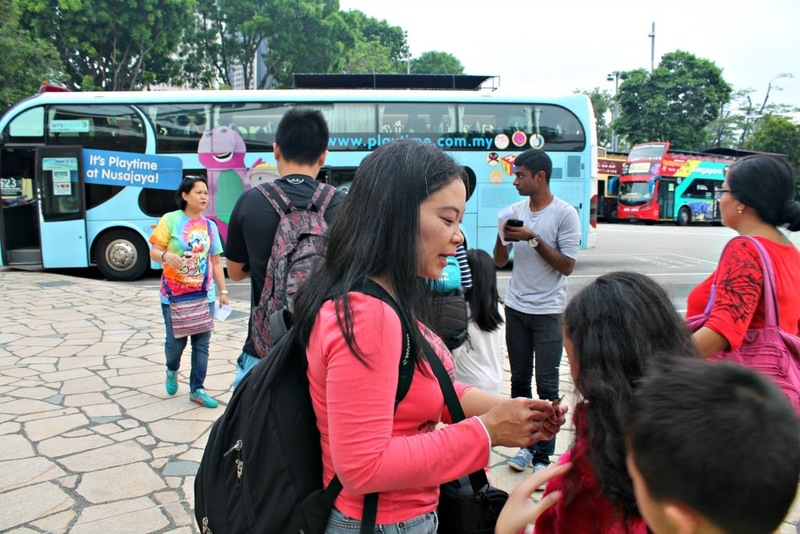 The website has also been helpful in providing information regarding how to reach the place from Singapore by bus so I didn’t have to look anywhere else. 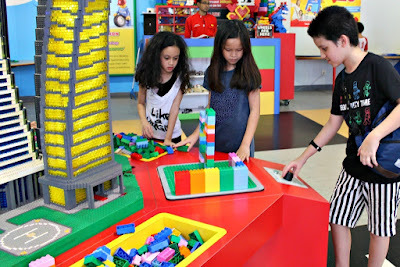 Legoland Malaysia is thrilling as well as educational. It’s less crowded than Universal Studios, so we spend more time playing and enjoying the park rather than standing on the line haha. We can play as many times as we want without worrying about the line or the other people. You’ve seen this on many Legoland ads. You can even see it from the water park. This is Legoland iconic roller coaster. The ride is located on the left side of the main gate, you’ll see it right away when you entered the theme park. This is the first ride and it’s hard to move on from the thrill. I literally had to drag Andrew away from the ride because he kept on lining for another ride while we still have the whole Legoland to explore. Really addictive. It’s probably our fault too because Legoland map suggested turning right from the gate, so this ride should be the last. But we wanted to be different haha. Good to Know: We’re acting as Lego Technic new project tester. This so-called new project is an 18-meter roller coaster with 15 turns. It can be awesome for some, but may cause motion sickness for others because riding on feels like being on one of those crazy buses in Jakarta. Dudu says: I love the ride because everything feels right. The seat fits well, the drops are also well and there’s nothing uncomfortable like if I ride other roller coaster ride. It’s no secret that both of us enjoy shooting game at the arcade, so this ride is a hit. Dudu scored 12,500 on his second round while Mama managed to hit above 70,000. We had wanted to go for more rounds, but it’s late already and we don’t have much time to explore roughly half of the land. So we have to move on, with a promise to return when we’re visiting Legoland Malaysia in one full day. Good to Know: in an hour, the ride claims to fit 1000 people, so there’s no worry about waiting. The ride itself is only 5-10 minutes. Dudu says: I think kids as young as 5 years old can enjoy this ride. You have to have a good aim. Overall, this is a super fun ride! Upon looking at the map, I knew this place is going to be a hit! Dudu loves science so there’s no doubt that he would love this AC/Indoor Lego-building place. Turned out Build & Test isn’t just a hit for kids, but a fun place for adults as well, especially when it’s so hot outside. Here, we can build a building and test its durability against earthquake or you can test your assembled car on a course. It’s located right across Duplo Playtown for the younger kids. 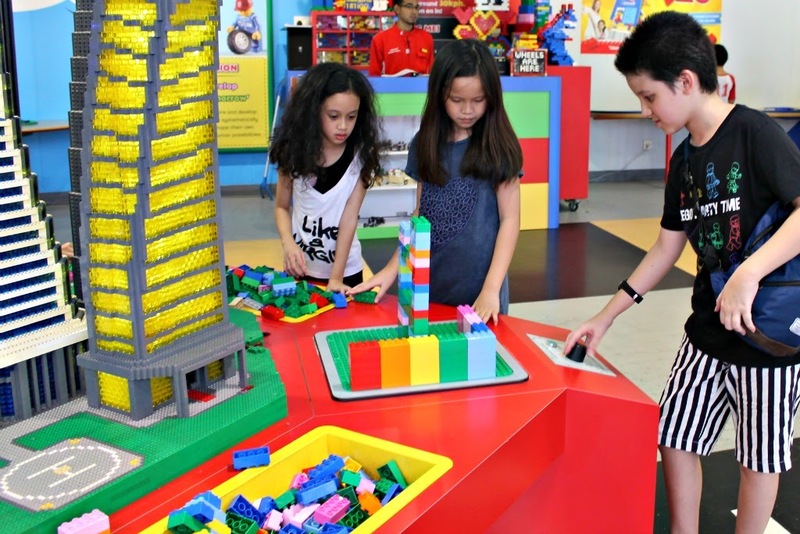 Good to Know: Build & Test is right halfway of our Legoland Adventure. So it’s a good rest area. Dudu says: I made a building and place it on the earthquake table. I’m so happy that I succeeded because the building isn’t falling down when the table moves. This place is cool because we can build something and test it right away. While we agree that the three rides and stops mentioned above are awesome, we have to disagree on several others. Haha. 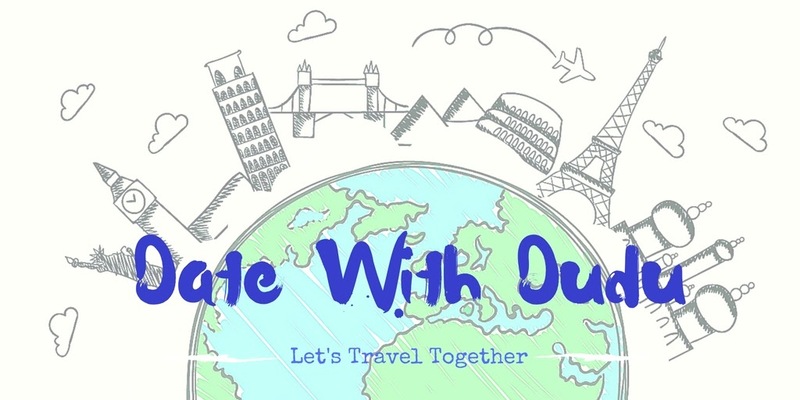 That’s part of going on a date with Dudu because we don’t have the same travelling style. Ladies first, the next two are my picks for the theme park. I’m old, so I enjoy sitting down and watching movies. Lego studio features comfortable seat, cool theater and nice 4D Effects. What makes this Lego 4D different from the ones at other theme parks? We have snow at the end of the show haha. There are several different short films and the one we happened to watch is the follow up to Lego Movie where Emmett and Wyldstyle instead of going to Legoland is tempted by next-door theme park owned by President Business’ brother. Good to Know: Unlike Shrek which runs the same film all over again for years, here you have to check which Lego film plays at which hours so you don’t miss the one you want to see. Another sit-down and enjoy the view kind of ride. Take the train from Lego City Station and explore the whole theme park. The whole ride took around 15 minutes so make sure you have enough time. Even if you’re not a big Lego fan, hopping on a Lego train is still cool. Good to know: I would recommend taking this ride first to see where to go, or right before you walked out of the town as a last look before leaving. Dudu has a different idea of fun. There are also several rides I didn’t try because I was busy taking pictures. I consider Legoland photogenic and you can take endless snaps with your camera. But Dudu only cares for fun and rides, so here are the ones he enjoyed. 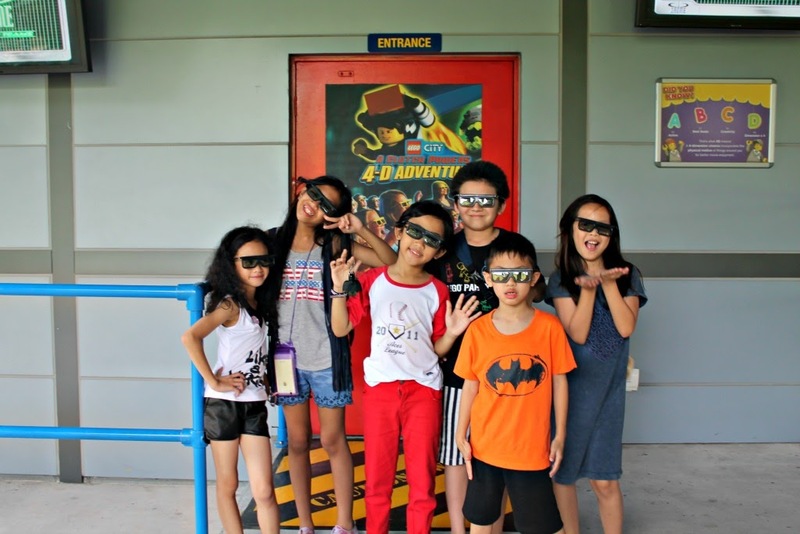 Jakarta’s Dufan has Niagara-gara, a waterfall ride. This one is a more extreme version of the ride. Get ready to be wet and go crazy as you fall 12 meters into the 3 million liters water down there. Good to Know: There are paid dryer booths where you can have strong breeze being blown to you. They are by the entrance. The shop is also interesting. Just in case you’re wet already, check them out before going on the ride. Dudu says: We met a T-Rex! We’re riding boat around an island and we fell because of that T-Rex because we want to run away from it. We fell to the waterfall and safely escape from the cave. It’s really wet, so get your raincoat ready if you want to stay dry. Located right across the Project X, this Aquazone ride is the second charm. Here, the kids (or adults) can go on the so-called speedboat and take a circular ride, while the audiences (including me) are shooting water guns and canons at them. The riders can steer left and right but they are still within the same circular circuit. 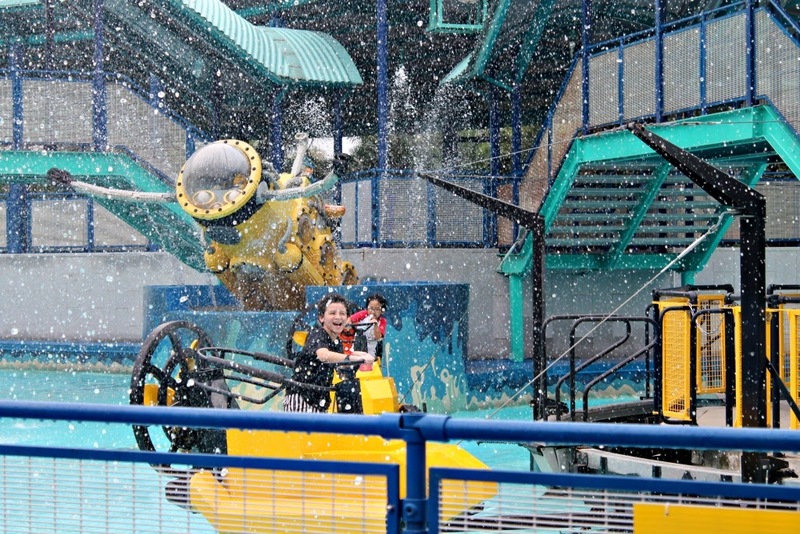 Good to Know: There are 4 water guns that can be used for shooting at the riders, but this ride isn’t as wet as Dino Island. Splashes here and there are actually refreshing considering that the area can be hot. But if you happen to be on the wrong time at the wrong spot when someone presses the cannon button, you might get a little more than sprinkles. Dudu Says: It’s not dizzy, but it couldn’t shoot. People can shoot from the side but sometimes the water came back right at them. So it’s fun. There are two types of roller coasters in Lego Kingdom: The Dragon and The Dragon’s Apprentice. 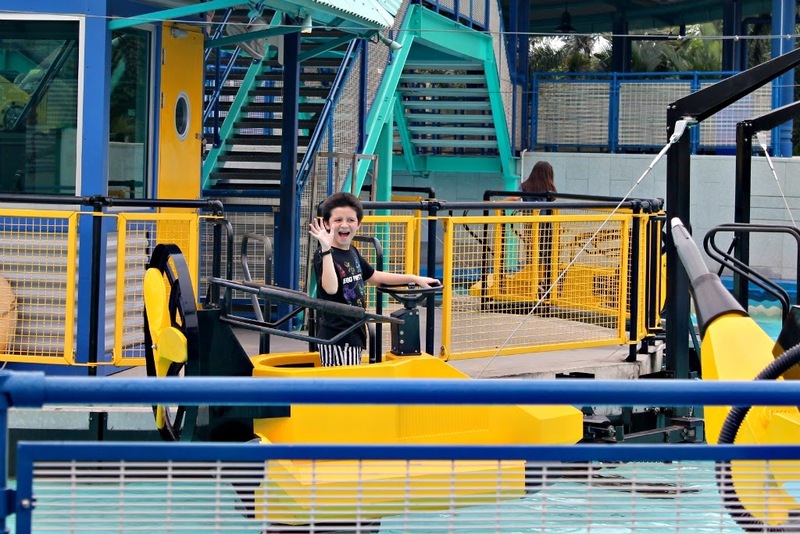 Just like the name, Apprentice is a much smaller and shorter roller coasters, even though for small children it can be quite thrilling already. The Dragon is bigger and more fun because we have to ride up the castle and start the adventure with a legend. The story distracted our attention and suddenly the roller coaster started. Good to Know: The speed of the Dragon may reach 60km/h, which is equal to highway driving in Jakarta. Dudu Says: This roller coaster is cool because of the speed and the surprise element when we’re out the castle and into the real roller coaster. 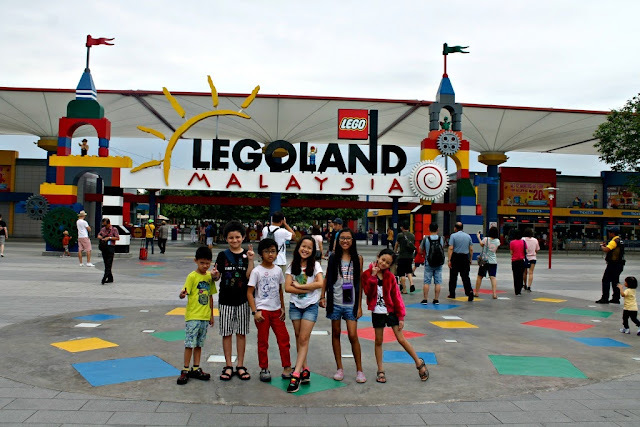 How to reach Legoland Malaysia? We’re staying in Singapore, so we took the WTS Travel bus from Singapore Flyer. You can book the ticket online but the seats are limited. When I was about to book the 8.30 AM bus online before I even reached Singapore, there was only one seat left (and there are 10 people in our group). So, once I arrived in Singapore, I went to the WTS Travel office at Singapore Flyer and managed to book the seat I want. 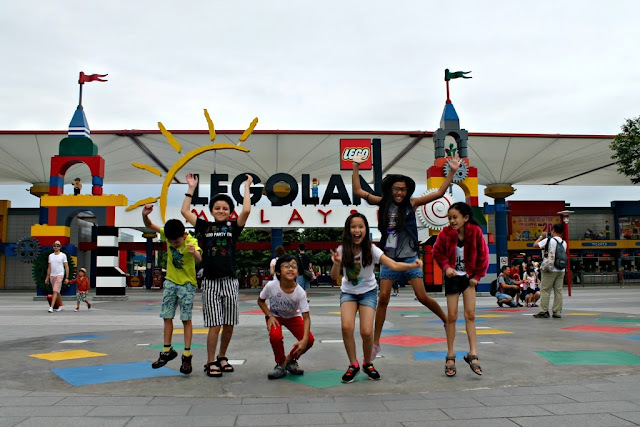 Leaving on 8.30AM from Singapore Flyer and returning on 6.45PM from Legoland Malaysia. The bus costs 26SGD/person/return ticket. The morning journey took 1 hour and 30 minutes including immigration, but the drive back to Singapore is around 3 hours, mainly because of traffic on the TUAS immigration and there was one family in our bus got stuck inside for questioning. As the last bus returning to Singapore, we can’t leave that family behind. 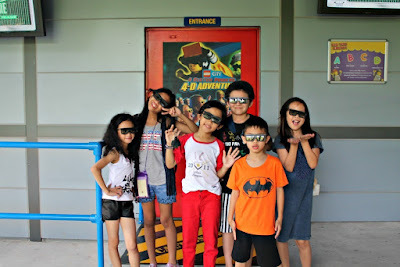 Get ready 30 minutes before departure at Singapore Flyer and 15 minutes before at Legoland with all members in your group. We'll probably return again, thinking about staying in Johor next time. But we'll see. In the meantime, let's just enjoy the park.